One book we really like here at The Yellin Center is The Explosive Child: A New Approach for Understanding and Parenting Easily Frustrated, Chronically Inflexible Children by Ross Greene, Ph.D. 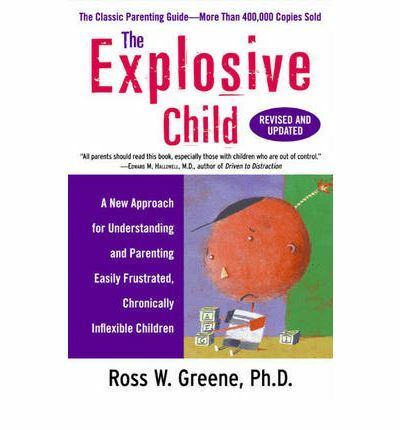 The book’s been around for almost 20 years and, despite its name, is a great resource for anyone who is a parent or teacher of children who experience challenging behaviors. Almost every child could use help with some behavioral expectation, whether it’s escalating sibling rivalry or difficulty stepping away from social media as bedtime approaches. Greene’s book outlines a method of collaborative problem-solving, in which children and adults work together to solve problems and curb challenging behavior while improving communication skills. “Plan B” helps parents, teachers, and students work on their executive functioning skills while they’re working through challenging behaviors. The book also addresses ways the process can be used with siblings, between two students, and as a collaboration among parents and teachers. Are you wondering why it’s called “Plan B”? The more traditional reward-and-punishment approach (“Plan A”) to sparking behavior change might work for a lot of students; but those who lack some of the executive functioning skills like inhibition, flexibility, and frustration tolerance need something that will help them build those skills up as part of the process. There’s a lot to learn from Dr. Greene’s collaborative approach to problem-solving, and many useful tools are available for free on the website.